Business is an emotional game. It can become frustrating and overwhelming, and there will be times you feel like giving up. 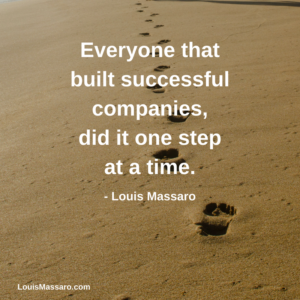 You just have to remember that everyone that built a successful moving company, did it one step at a time. Each day is a new opportunity to ask yourself: “What steps do I need to take?” and then start executing to build a successful moving company one step at a time. When I opened my first moving company at 19 years old, I was making mistakes every day. I kept a little black notebook in my pocket where I would write down all the mistakes I was making or challenges I was having. Then I went on a mission to find ways of doing it better so that I would not make that same mistake. I would read books and talk to successful business owners to see how they handled things. 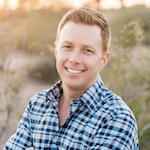 I was able to build a highly successful moving company by embracing the everyday challenges of business and using them as opportunities to improve and find better ways of doing things. I’m sure that you didn’t start your moving company just to create a job for yourself, right? You had a vision and a dream to create a great business that made you a lot of money, right? Whatever level your company is at now, it’s important to have a vision of where you want your company to be in the future. You can build a very successful and highly profitable moving company in just a couple of years! But you first need to have the vision; then you need to believe that you can do it, then you need to go make it happen. What does owning a successful moving company look like to you? How many trucks would you have? How many people would be working in your office? How many moves would you be doing every month? How much money would you be taking home? What kind of house would you be living in? What kind of car would you be driving? What would you do with your time off? What kind of vacations would you take? Take some time and really think about these questions. Sometimes we get caught up in the day to day details and forget to think about where we are headed. When you have a clear vision of where you want to go, it makes getting there easier and more fun! Remember, Rome wasn’t built in a day. You won’t create the successful moving company of your dreams in a day. But every day is an opportunity to put one foot in front of the other and keep moving towards that dream. Keep going! 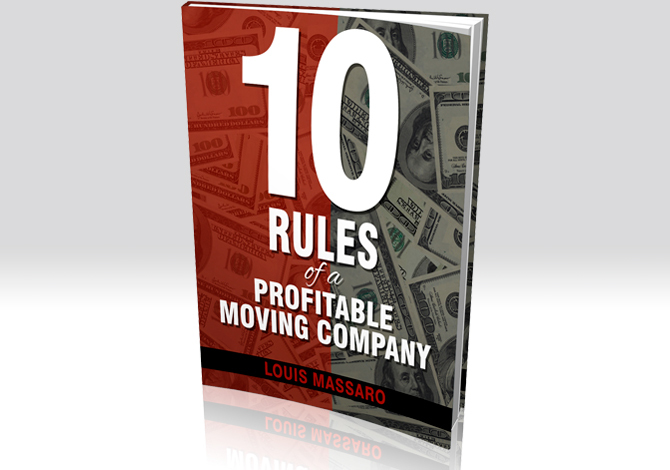 Hey, my friend, it’s Louis Massaro, author of 10 Rules of a Profitable Moving Company and founder of Moving Mastery. We’ve been going now for… This is the ninth week, we’ve been talking about the 10 Rules of a Profitable Moving Company. 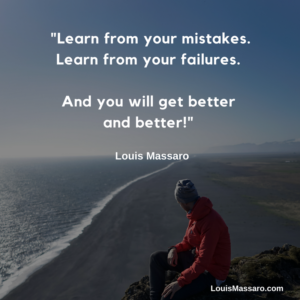 It’s a free e-book that if you don’t already have it, if you haven’t already downloaded it, go to my site, louismassaro.com, or I’m sure there’s a link on this page, you could download it and get it instantly, it’s free. And today, we’re gonna talk about rule number nine, which is one step at a time. I put one step at a time in there because in business, it’s an emotional game, too. It’s not just do this, do that, do this, do that. It can get frustrating, it can get overwhelming. There could be times where you feel like giving up. And you just have to remember that you just have to go one step at a time. So you may look at another company and be like, “Wow, they’re at this level and I really wanna get to that level, I’m never going to get there.” You have to realize that everybody that built their companies, built it one step at a time. Maybe somebody had it handed to them, maybe somebody had it given to them and it was already built, which is okay. But somebody before them, they built it one step at a time. When I started my company, I didn’t have anything. I rented two trucks, I drove and worked out of a truck rental yard. Every day, I dispatched the trucks from there and that’s how I started my business. And I took it one step at a time. And you know what? Along the way, I made a lot of mistakes. I fell on my face, I had made just a ton of mistakes that cost me money, that just looking back at it, it’s like, you could say, “I wish those things didn’t happen,” but no. I don’t wish any of the mistakes I made didn’t happen because I learned from them. And if you’re taking it one step at a time and you’re making mistakes, and every time you make a mistake, you learn from it, you’re on the right path. You’re on your way to build a business that you are envisioning, that you are dreaming. That when you started your company, you had a goal. You didn’t just say, “You know what? I’m gonna start a moving company so that I could create a job for myself and go to work and just have something to do.” No, you were excited, you had a dream, you had a vision of a company that you were gonna build. Whether that was two trucks so that you could support your family and have a nice living, or whether you wanted to open 50 locations, or whether you wanted to be the next big van line. Whatever it may be, you had that dream and you had that vision. But you know what? There’s a lot of steps along the way. And it gets frustrating. And it’s gonna test you. Business is gonna test you, it’s gonna test your character, your nerve, your ability to push through it. But you just really have to remember that if it wasn’t hard, there wouldn’t be the reward at the end. If it wasn’t hard, if there was no struggle, you wouldn’t get that reward. So just remember, take it one step at a time. I know that we’ve gone over a lot of stuff, I’ve been putting out information every week. The people that I’m working with, they know this, they know that it’s all about one step at a time. It’s all about laying out a plan of what we’re gonna do first, what we’re gonna do second and how we’re gonna get there and laying that out. Lay it out for yourself. 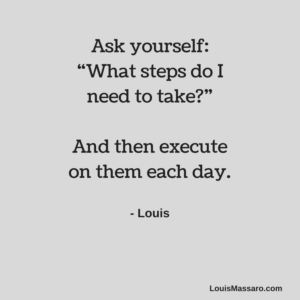 You have to look at it like, “What steps do I need to take?” and then just execute on them every day. Listen, Rome wasn’t build in a day. You’ve all heard that. Successful businesses were not built in a day. But if you take the right steps, you can build a pretty successful business in two years, three years. That time comes. If you look back and you think about what were you doing two, three years ago, seems like yesterday, right? So if you start putting the right steps in place, the right processes in place, you take some of these 10 rules that we’ve been talking about and you start implementing them into your business on a consistent basis and other ideas that you have, these are only 10 rules. These aren’t all the answers to everything that you need to run a profitable company. You know what you need to do, it’s just a matter of doing it. And the only thing that’s gonna get in your way is your mind. You could be your own worst enemy because you start getting frustrated, and you start feeling like you can’t do it, and you start… Just getting discouraged and your mind starts going like, “I gotta do all this stuff, it’s so much, it’s so overwhelming.” You know what? One step at a time. That’s it, that’s all you can do. You could just put one foot in front of the other and continue to move forward. And if you do that every day, and you put some practices in place, and you put some principles in place, and you take these 10 rules, and you start to really develop a plan of where you’re headed, you’re gonna get there. And when you get there, there’ll be a whole new set of challenges. I mean, when I started, I had a vision for where I wanted to get to and then I got there, and I was like, “You know what? I wanna go a little further.” And I got there and each step along the way has its own challenges. That’s business, there’s gonna be challenges. You can go work a regular job and get a paycheck. And show up to work, work your hours, get your paycheck, punch the clock, go home. As long as you don’t get fired, everything’s all good, the challenges are minimal. But when you’re in business, there’s challenges, but with those challenges come the reward. And as the owner of the business, you reap that reward. 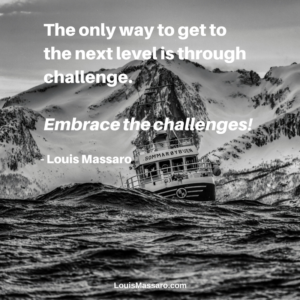 So embrace the challenges. Make sure you’re learning from all your mistakes. Make sure you’re learning from all your failures. If you haven’t heard my story, I used to keep a little black book with me. When I first started, I was 19 years old, and every problem that I ran into, every situation that I didn’t know how to handle, I literally wrote in the little black book, put it back in my pocket. That night or over the weekend or whenever, I would search for solutions. I would go to the bookstore. I would read books. I would try to talk to anybody that I knew that was successful and try to figure out a way. So I’m sharing all this information with you to try to help you avoid some of that, but you’re gonna hit your own challenges. You’re gonna get your own set of unique circumstances that you’re gonna run into, and you just have to remember, it’s all part of the game. It’s like, you can’t play football and not get hit, not get tackled. You can’t be in business and not have challenges. You just need to remind yourself to take it one step at a time and you’re gonna get to where you wanna go. And more importantly than that, you have to stay focused on where you’re going. You have to envision where you’re going. When this video is over, here’s what I want you to do. Close your eyes, envision your company two years from now. Envision two years from now how everything could be, the company that you could build, if you just focused on what’s in front of you, took it one step at a time and start to implement. Envision what that would look like. What would it look like for you? How many trucks would you have? How much storage would you have? Would you be doing long distance? Would you have multiple locations? Would you have a call center full of people working for you, an assistant that handles everything that you need handled? How much money would you be making? Literally, how much money would you be taking home every single month? You have to stay focused on that. You have to envision that. When we get off, when this video’s over, take a few minutes, take five minutes by yourself, close your eyes, envision that, imagine what that looks like, imagine what that feels like. You have to see it, then you have to believe it, then you have to go make it happen. And you’re only gonna make it happen one step at a time. Don’t get discouraged. You can do this. It’s a tough, tough business, the moving business, but it’s a great business. You can make a lot of money, a lot of money. If you’re not already a millionaire in the business, you can become a millionaire in the business. You just have to take it one step at a time. You can’t go from A to L or to M, you have to go A, B, C, D, one, two, three, four. You have to go in order, one step at a time. Do this exercise, I’m telling you. Stay focused on the business that you wanna build. Take it one step at a time, continue to profit in business, because that’s what it’s all about. Continue to thrive in life because you know what? If you’re just profiting in business and you’re not thriving in your life, it’s not complete. So keep it complete. Envision that too. When you’re envisioning your business, envision the life, envision you driving home from your office. However you’re envisioning that office, envision you driving home. What car are you driving? What does your house look like? Let me tell you something. I started my business at 19; by 23, I was a millionaire. I don’t say this to brag. I don’t even like to talk about it, but it’s something that I just want you to know, because it’s possible. And I know there’s a lot of people in business, moving… Any business. They get discouraged. And it beats you down and it just feels tough. You know what? Every day is a new day. Every day is an opportunity to take another step forward. So again, profit in business, thrive in life. Thanks for tuning in. I really hope this was helpful. Do that exercise, envision your future, and then go and make it happen.